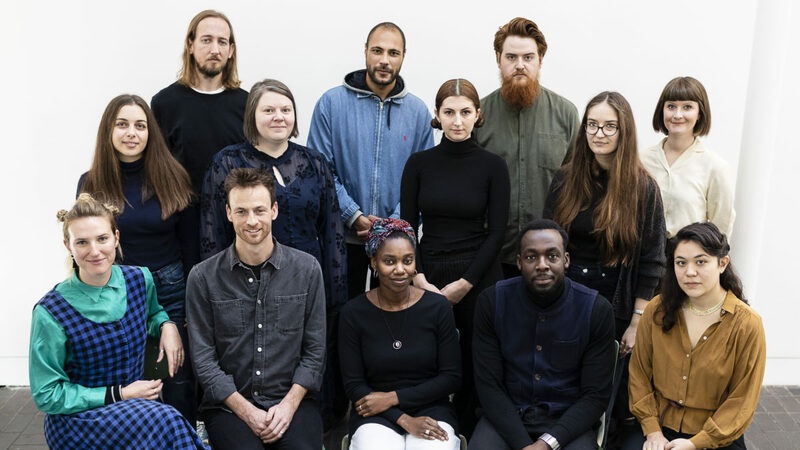 Today, Monday 3 December 2018, Jerwood Arts announced the 12 recipients of awards and commissions that will form the 2019 visual arts development and exhibition programme at Jerwood Space, London and on tour nationally. The total value of grants directly awarded to artists is over £100k. Amongst the many alumni of Jerwood Arts’ visual arts programme are Ed Atkins, Benedict Drew, Keith Harrison, Emma Hart, Lawrence Lek, Heather Phillipson, Elizabeth Price, Semiconductor (Ruth Jarman and Joe Gerhardt), Corin Sworn, Claire Twomey and Bedwyr Williams. Launched in 2016 and presented annually, these new commissions aim to discover, nurture and develop early-career artists at a critical stage in their careers. Three artists Appau Jnr Boakye-Yiadom, Kitty Clark and Sofia Mitsola have been commissioned to make and show new work presented as three concurrent solo presentations. Launched in 2012 and presented annually, these awards are a major opportunity inviting ambitious proposals for new work from artists working with moving-image who are within the first five years of beginning a practice. Artists Webb-Ellis and Richard Whitby will each receive £20,000 commissions responding to the theme Going, Gone. The resulting works are currently in production, further details will be announced in January 2019. The selectors for Jerwood/FVU Awards 2019 were Elizabeth Price, artist; Peter Taylor, Festival Director at Berwick Film & Media Arts Festival; Steven Bode, Director, Film and Video Umbrella; and Sarah Williams, Head of Visual Arts at Jerwood Arts. The new moving-image works by the artists will be shown at Jerwood Space from 3 April to 2 June 2019. Launched in 2010 and presented biannually, the award offers a development, exhibition and touring opportunity for makers, applied artists and designers with the vision and ambition to take their practice to the next level who are within 10 years of beginning a practice. Artists Max Bainbridge and Abigail Booth (Forest + Found), Mark Corfield-Moore, Lucie Gledhill, Bethan Lloyd Worthington and Tana West will each receive £8,000 commissions to make new work for a national touring exhibition. The selectors for the 2019 edition of Jerwood Makers Open are Rana Begum, artist; Grace Wales Bonner, fashion designer; Alun Graves, Senior Curator at the V&A; Tanya Harrod, writer and independent design historian; Alistair Hudson, Director at Manchester Art Gallery and The Whitworth; and Lilli Geissendorfer, Director of Jerwood Arts. Launched in 2015 and presented biannually, the award offers a development, exhibition and touring opportunity to photographers, or artists using photography, to make new work and significantly develop their practice. It is open to UK-based artists working with photography with a focus on new approaches to photography, and/or whose practice is experimental, who are within 10 years of establishing their practice. Two artists Silvia Rosi and Theo Simpson will each receive £10,000 to make new work through the Jerwood/Photoworks Awards. The new photographic works by the artists will be shown at Jerwood Space from January 2020, followed by a UK joint exhibition tour. The selectors for the 2020 Jerwood Photoworks Awards are Aaron Schuman, artist; Marta Weiss, Curator of Photographs at V&A Museums; Shama Khanna, freelance curator and writer; Shoair Mavlin, Director of Photoworks; and Lilli Geissendorfer, Director of Jerwood Arts.